→How Many Days in Hong Kong? You will want to give yourself one full day for seeing all of the spectacular religious sites dotted throughout the main and outlying islands of Hong Kong. 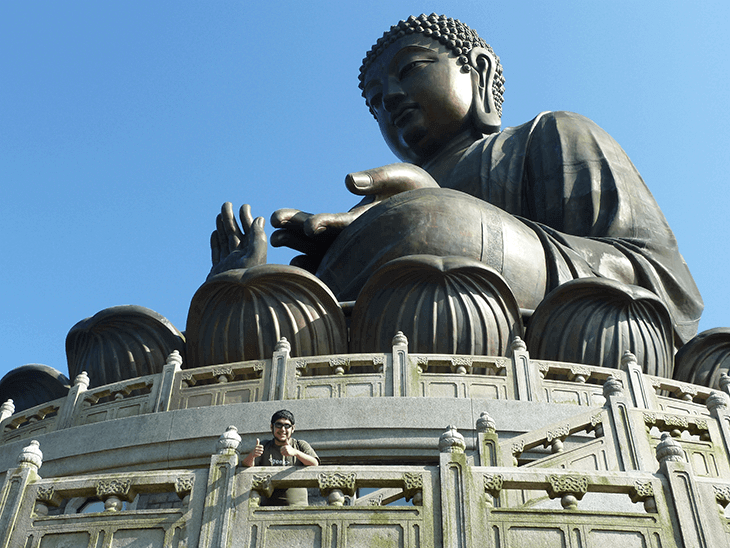 The most popular site to visit is the Big Buddha, whose official name is the Tian Tan Buddha of the Po Lin Monastery. While the huge statue on the hill is a sight to behold, there are dozens of other temples and shrines, all equally beautiful, located throughout the city that are certainly worth your time. You can find a full list of Chinese heritage temples, as well as a list of other cultural and religious landmarks located in Hong Kong. Even if you aren’t religious, temples and shrines are a huge part of history in Asia and are definitely worth the visit. There are many places where you can entertain yourself while in Hong Kong, from traditional museums to theme parks to zoos and aquariums. 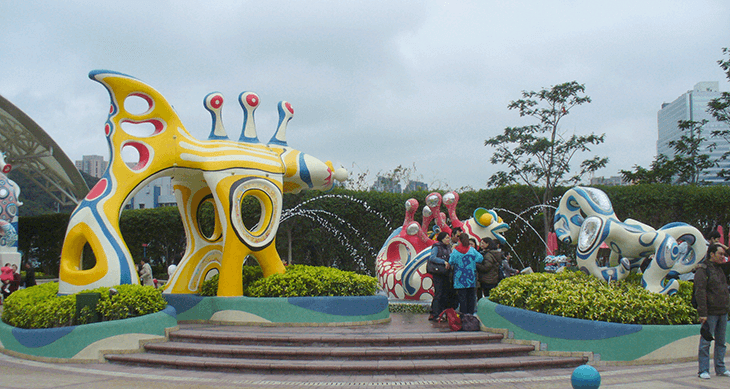 The most popular places to start with are the famous Hong Kong Disneyland and Ocean Park. Hong Kong Disneyland is absolutely worth a full day, and the same goes for the Ocean Park. If rides and Disney memorabilia are more your style, Disneyland is for you. If you’re more into animals and the natural world, Ocean Park and the Hong Kong Zoological and Botanical Gardens will both make for all-day excursions; although, you may decide to just pick one or the other. Both parks are huge hits with kids and parents alike, and there are even more amusement parks and museums to explore nearby. When it comes to how many days you should spend in Hong Kong, you’ll want to factor in full-day trips like these as well as at least an afternoon for any museums that catch your eye. You will most likely need at least one more day (maybe two) to take in the rest of Hong Kong. When I say the rest, I’m talking about all the amazing food, culture, shopping, and tourism activities that they have on offer. One way to take in the flavors of Hong Kong is through a “foodie tour,” where you are shown as many as six different locations, each with its own vibrant cuisine. Companies like Hong Kong Foodie Tours offer such adventures, with multiple locations to choose from. If you want to see the city from atop a double decker bus, you can also do the Hop on Hop Off Tour. You will get to explore the city at your own pace, while seeing the sights and deciding where to shop and eat and which stops to get off at. You can find excellent shopping districts throughout the city as well, perfect for spending an afternoon finding treats to bring back to the family. A list of unique street markets can be found here. Heading outside the city and enjoying nature can really make your trip one to remember, so make sure at least one of your days in Hong Kong involves checking out the beautiful scenery. At the Pineapple Dam Nature Trail, you can arrive by minibus and take a relaxing one-hour walk around a dam named for the many pineapple fields that once surrounded it. A list of other nearby hikes can be found here. 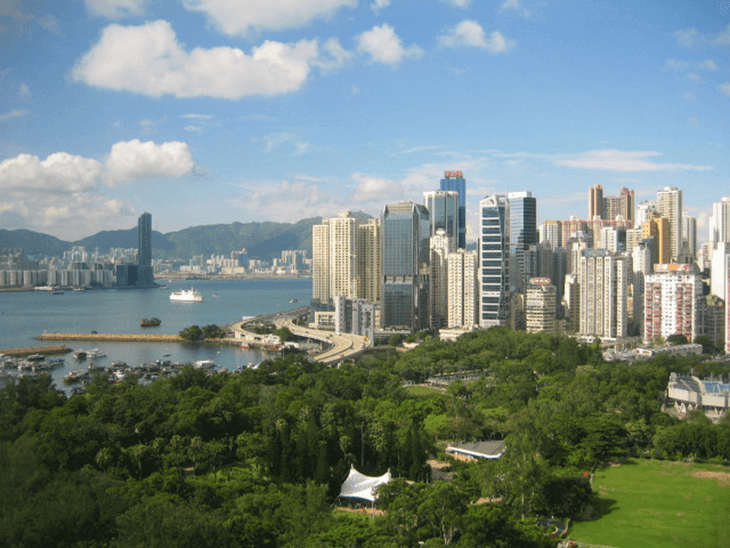 Or, if you don’t want to head too far away from the city, you can simply spend a relaxing afternoon in Victoria Park, which is the largest park on Hong Kong Island. There are lovely flowering plants, walking trails, sports facilities, and an art corner that opens every Sunday for locals to sell their wares. Either of these stops would make for at least an entire morning or afternoon, and there are many other options for exploring the natural side of Hong Kong at Trip Advisor (over 140!) to fill up at least a day or two for the more outdoorsy adventurers. 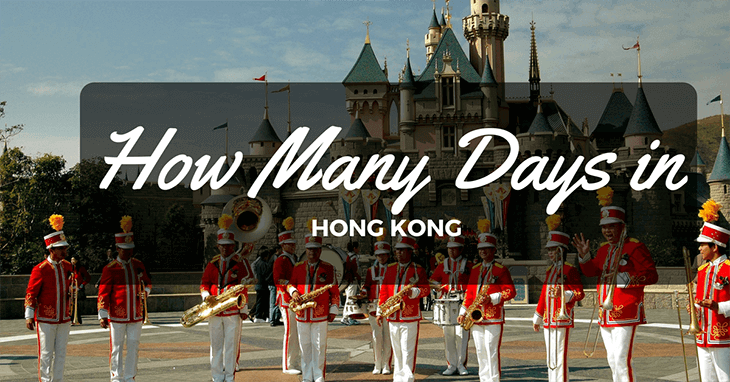 So how many days in Hong Kong do you think you need to truly enjoy? Is it three, four, maybe up to five or six? If you’re still looking for more ideas, check out iAmAileen’s video of her five-day trip. No matter what you choose to do once you get there, you’re sure to have a great time! So, what are you waiting for?